One of my favorite Disney Transporation options is the Walt Disney World Monorail. You do not need to be a resort guest to ride the monorail and it is completely free. The Walt Disney World Monorail System operates from 30 minutes prior to earliest park opening until one hour after latest park closing. This includes resort extra magic hours and holiday parties. Many times the Monorail does not service late night ticketed events such as the Disney After Hours Events. The Monorail has three main lines that are used by guests riding the Walt Disney Monorail Transportation System. The Express Monorail. This is the express service between the Magic Kingdom and the Transportation and Ticket Center (TTC). Express service runs on the outer loop of this route and travels counter-clockwise. The Resort Monorail Loop. Round-trip local service on the inner loop, running clockwise, making stops in order starting at the Ticket Center (TTC), Polynesian Resort, Grand Floridian Resort, Magic Kingdom, the Contemporary Resort and then back to the TTC. Epcot Monorail Service. Service between the Transportation and Ticket Center and Epcot. Service on this route is a single beam running clockwise on the loop. There are usually 2 monorail trains on this loop. No matter where you board the Monorail, you need to go through security checkpoints first. If you are boarding the monorail from the Transportation and Ticket Center from the Magic Kingdom Parking Lot or the Epcot Parking Lot you go through security once you get off the tram. If you are boarding the monorail from a Disney Monorail resort then you go through security at the resort. If you are going from the Ticket and Transportation Center to Epcot via the monorail you will have to go through security a second time once you reach Epcot. I personally find this annoying and wish they would come up with a way to fix that. Wheelchairs and scooters are welcomed on the Monorail. A Cast Member has a portable ramp that they place over the slight step to on board. There are designated cars for wheelchairs and scooters but any monorail train car can be used. Make sure you practice backing up your scooter because depending on your stop you may need to back up to get off. There is no room to do a turn. A Cast Member can and will help guide you out if you are unsure or worried you will miss the ramp. 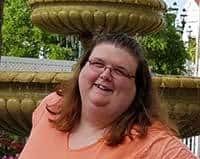 If you have a disability that prevents you from standing during the length of the monorail ride, let a Cast Member know and they can help find you a seat. In the opening and closing hours, you may have a less crowded wait if you take the resort monorail to get from the Transportation and Ticket Center to the Magic Kingdom. You may not get there quicker, but you have a better chance of getting a seat. Unlike buses, strollers do not have to be folded up. I do recommend that you lock the stroller so it does not roll. Feel free to ride the monorail around the loops a few times if you wish to see everything or just to relax. Practice Common Courtesy. If you see a pregnant guest, elderly people, people, guests with disabilities, or people carrying babies please offer your seat to them and stand. Kindness goes a long way. Disney World offers many freebies around the entire resort, one of my favorite freebies are the transportation cards. Any Monorail Platform Cast Member may have Monorail Transportation cards with them. If you ask politely they may have a few to give you or they just may hand them out unexpectedly. Each monorail card features a colored monorail and fun facts on the back. There are 34 transportation cards to collect that include buses, watercraft, monorail, tram, and the Minnie Vans. I have seen several kids of all ages, that means grownups too, become huge fans of the Walt Disney World Monorail. You can take home a piece of the monorail with you. 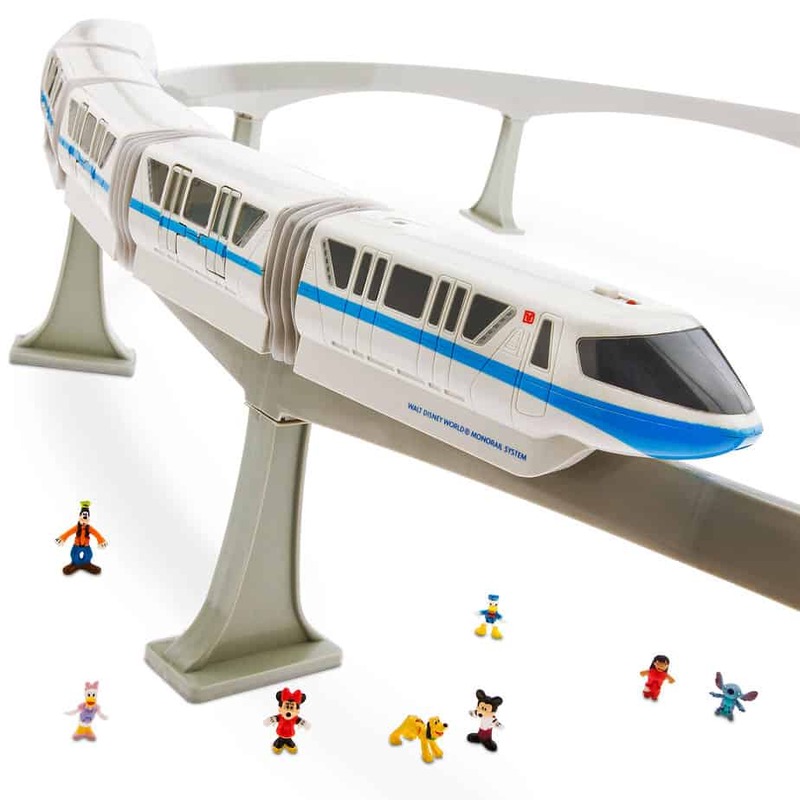 Disney World sells monorail sets that are perfect for kids of all ages. Lots of people have the monorail go around their Christmas Tree. The price tag is close to $100 though so if you really want one, add it to your budget. Each Monorail is identified with a colored stripe. The colors of the monorails are Red, Coral, Orange, Gold, Yellow, Teal, Lime, Green, Blue, Silver, Black, and Peach. To help visually identify Green from Lime, Pink from Coral and Blue from Teal, the Lime, Teal, and Coral stripes have a white delta painted on each car. In 2009 a monorail crashed happened which involved the pink and purple monorail trains. The undamaged parts from the pink and purple trains make up the teal monorail train. Lately, Disney World has been using the Monorail trains to promote a movie. Currently Monorail Orange is decorated in Incredibles designs. I always take note of which Monorail Color I ride. On my Disney World Bucket List, I have ride all the colors of the Monorail on my list. I am sure I have probably ridden them all but I created a printable to help me keep track. Please note that during any given time at least 1 maybe 2 monorail trains are being serviced so you may not get to ride them all during your vacation. 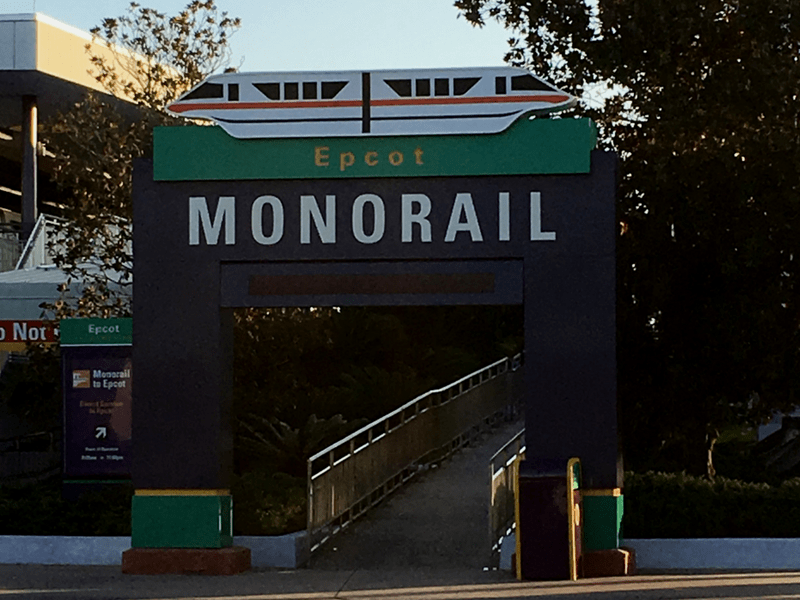 Here are some fun facts you may not know about the Disney World Monorail system! A Long History: The forerunner of the modern monorail system was tested in Germany in the 1950s where it caught the attention of Walt Disney, then in the midst of planning Disneyland in California. In 1959, when the Disneyland monorail system premiered at the theme park, it became the first new-style monorail to operate daily in the United States. 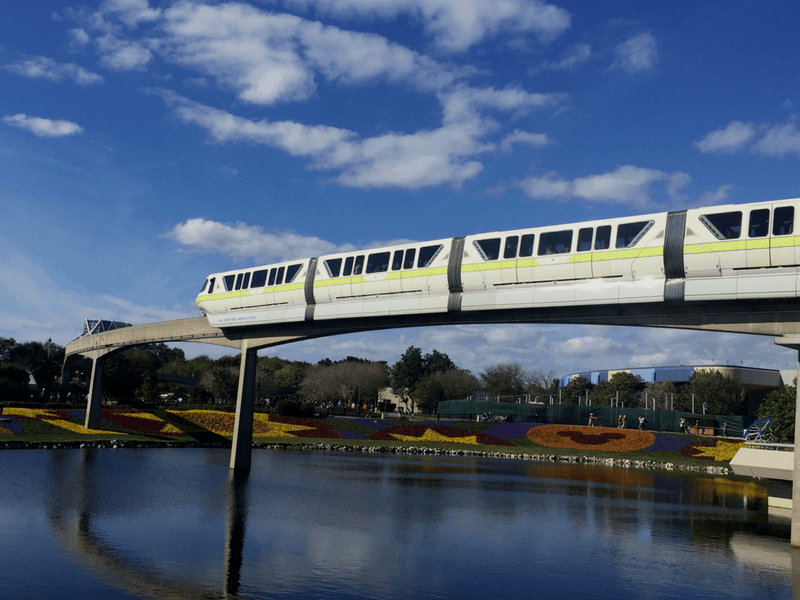 Today, the Mark VI Monorail Trains at Walt Disney World Resort in Florida incorporate nearly 40 years of research and development in monorail technology. The system, in operation since 1971, was expanded in 1982 with a four-mile extension to Epcot and updated in the early 90s with new trains to complete the 12-train fleet. Monorail Specifications: Each of the twelve, six-car trains is 203 feet long and has and an overall height of 10 feet, 5 ½ inches. Transporting Guests All Day Long: Nearly 7,000 guests per direction, per hour. On a typical day, more than 150,000 guests utilize monorail transportation. Tom Kane: Tom Kane is the narrator you hear while riding aboard the train. You may recognize his voice if you are a fan of Admiral Ackbar in Star Wars: The Last Jedi, the narrator in the Smurfs movies, and several other cartoons.